One of the things I love about the area we live in is how many parks we have and the national forest that surrounds us. There’s no shortage of places to visit, trails to hike, campgrounds to enjoy, and water to play in. I’m beyond excited to introduce Lily to all of these wonderful places, especially come autumn with the brisk air and crunchy leaves under our feet. With so much nature to explore around us, we’ve also worked hard to ensure that we can help keep it so pristine. We always try to pick up our garbage, stay on the trails, and definitely don’t remove things from the places we visit. When we go camping, we buy firewood there. When we go hiking, we always check to make sure no bugs are hitchhiking back with us. Unfortunately, we have numerous invasive species around here that don’t make that task very easy. These foreign species wreak havoc on the environment and can even impact public health. Not only that, but they displace native species which brings a threat to our trees, plants and agricultural crops. With their presence, national forests/parks and campgrounds can be deeply affected as well as your experience while you’re enjoying them. These invasive pests may have arrived in our country via commercial trade, but they are now spread by the things that people move within our forests, parks, campgrounds, etc. This means that we’re a major solution to keep these pests from spreading. Luckily, it’s easy to do your part with a few simple steps. Clean debris from vehicles and tires. Be sure to remove dirt, mud and anything else that can carry insects of their eggs before you leave. Tires from recreational vehicles, bikes, and cars are especially important. Do not move firewood. Many invasive species, such as the Asian longhorned beetle and emerald ash borer (both invasive species of Wisconsin), can be hidden inside firewood. It’s much better to purchase firewood near where you plan to burn it, or even better, from the location you’re at. Clean your gear. Make sure all dirt, mud and any other debris are removed from your gear before it’s packed to take on your trip or return home. This includes shoes, boots, backpacks, tents, clothing, etc. Don’t remove flowers, plants, leaves, or any other natural items from where you’re visiting. Anything that’s discovered in your adventures should be left alone. Invasive pests and/or their eggs may be attached to them and will travel with you. Want to do even more? Head over to www.HungryPests.com which is an awesome resource. You can see photos and descriptions of all of the invasive pests along with if they threaten your state and any federal quarantines. You can also get more tips on how you can help prevent these invasive species from taking even more away from our beautiful environment. How do you help ensure that our parks and forests stay pristine? 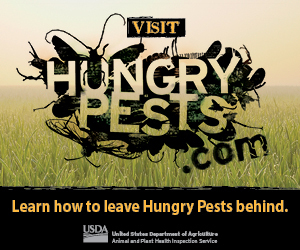 To learn more about other ways to protect nature from invasive pests, visit www.HungryPests.com. This is a sponsored conversation written by me on behalf of United States Department of Agriculture – Animal and Plant Health Inspection Service. The opinions and text are all mine. Oh my gosh, I love this post! We do a lot of camping, and I had no idea we could have possibly been hurting the environment. Thank you for sharing this! Thank you so much for all of this interesting information. I had no idea that doing simple things like moving wood or driving from one natural area to another could upset the balance of nature. I had no clue that you should wash your car/rv/bikes, ect after being in the forest. I missing being able to go to local state parks and camping. These are such great tips and I need to print them out. We love going camping and one thing I’m strict about is not letting the kids pick the flowers and not move anything such as firewood and rocks as I know they are home to many critters. Plus I don’t want any bugs to get on them. I don’t like camping whatsoever but I do love the outdoors so I am so glad to have come across your tips on protecting our forests. Will definitely teach my boys the correct way to have fun and respect nature. These are great and easy suggestions for keeping the forests safe! Thanks for sharing, I will be bookmarking this for reference before we go camping again. Oh, this is nice. I will take note of this. I am planning of camping out this year. Love these tips!! I know we don’t make it out in the forest very often but this will be a great way to help teach my kids too. These are some great tips for easy things you can do to protect our forests and national parks. I would not have thought about clean the debris for the vehicles and tires. Thanks for sharing these awesome tips. These are great tips. We always try to leave our campsite the way we found it. 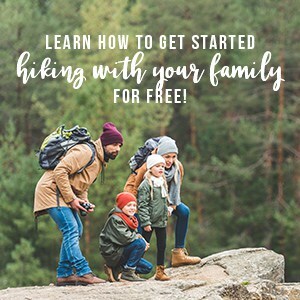 I really want to try to experience camping with my family, Thanks for this tips. This is such a great post – very informative. I surely didn’t know those things about the invasive pests. Growing up we lived right next to the state forest so I spent a lot of time there. We always made sure that anything we brought into the forest we brought back out. thanks for the tips, it’s important to take care of our planet/ forests! I will be sure to pratice this whenever I visit the forest… thanks!